Karen Martin Reads: Post 60: Where the Place? has graduated and is in the process of renting her first house in readiness for the job that starts in September. Although it doesn't have quite the same Seuss-like ring to it, I suppose this means she is now adult 1! Graduation day was uncharacteristically warm and sunny for Sheffield and it was a wonderful way to celebrate her achievements. 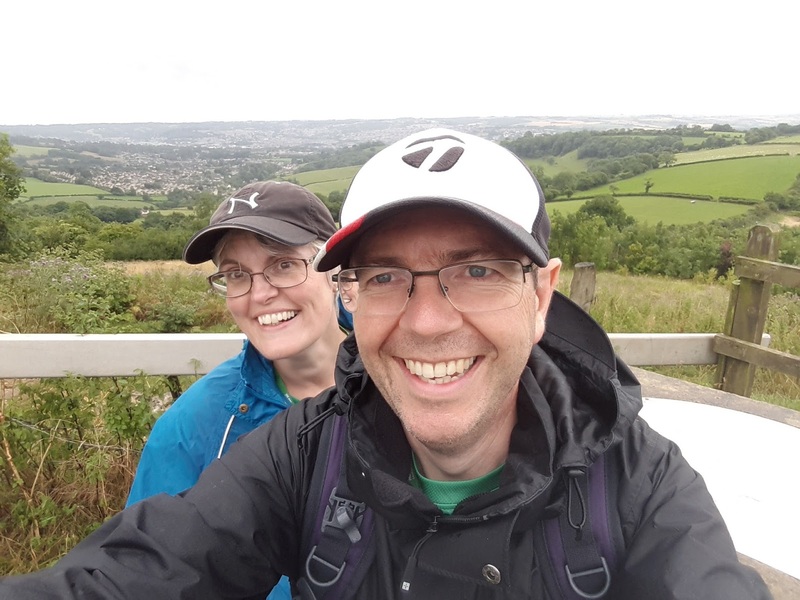 We have also completed our Macmillan Marathon Cotswold Challenge. That was not a day of unadulterated sunshine! Hubby taught me the delights of being a middle-aged baseball cap wearer. Despite our slightly questionable fashion sense, the ability to shield one's specs from the torrents of rain was very welcome. We made it the 26 miles and we are proud owners of a challenge medal. We've raised £845 for Macmillan and the JustGiving page is still open if you have a last-minute desire to boost our total. All I need now is a new right hip and I'd do it all again tomorrow! But this is a reading blog, not a what-have-I-been-doing-with-my-life blog, so let's get down to business. 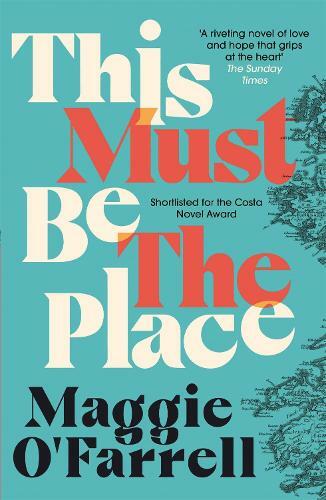 I have finished The Shipping News by Annie Proulx, The House on Bellevue Gardens by Rachel Hore and This Must Be The Place by Maggie O'Farrell. I am going to dismiss the middle read quite quickly. It is an easy read with a good central premise. The house is a large London property surrounded by its contemporaries which have all been converted into modern apartments. Resisting such change and still in its original state, the Bellevue House is home to a number of folk, all brought under the wing of the resident landlady. Everyone there is a bit lost, a bit of an outsider and the plot revolves around revelation of their individual stories and how each occupant finds contentment. It is a simple book, and somewhat predictable, but an easy holiday read for anyone who doesn't want to have to think too hard about what they are reading. The Shipping News is far more complex. It was the Pulitzer Prize winner in 1994 and it was the association with Radio 4's shipping forecast that drew me to the copy I picked up in a charity bookshop. It is however, nothing to do with the strange-sounding shipping areas intoned on a regular basis on the radio, (but maybe there is a novel idea in there somewhere!). 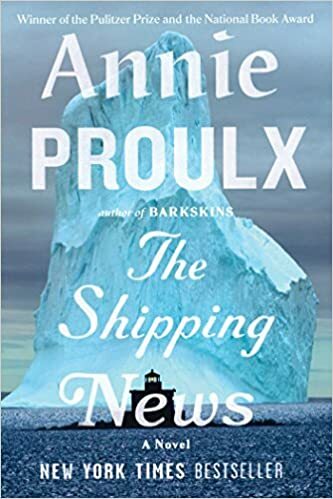 It is about a man named Quoyle, who, on the death of his wife (plot device only, so no need to be too empathetic here), decides to leave New York and head to the remote Newfoundland peninsula where an old aunt still owned a long-neglected property. Together with the Aunt and his two children, Quoyle re-starts his life in a hostile climate. He gets a job as a journalist reporting the shipping news, hence the title, and succeeds in making the role more interesting than his predecessor. The story is comic and intelligent. Each chapter begins with the definition of a shipping term and each episode can be seen to bear some relation to its epigraph. Unable to swim or navigate a boat, Quoyle nonetheless lives on a barely accessible point on the peninsula, making sea travel a necessity. The track to his house becomes impassable in the winter and the family is forced to move out almost as soon as they have improved the place enough to move in. The novel communicates naive optimism and real human hope. It celebrates the human condition at the same time as exposing its folly. I really enjoyed this book. It is original, intelligent and quirky. My favourite of the trio will probably come as no surprise to those of you who have been reading my blog for a while. Maggie O'Farrell is my favourite author and This Must Be The Place did not disappoint. I had indulged in elongated delayed gratification with this title. I heard the author discussing her new novel last year on radio 4 and I listened eagerly to the discussion of a story about a household celebrity who walked away from fame and constant media attention to live the life of a recluse on a remote Irish farmhouse. I decided not to buy on Kindle, as I love to collect books, and especially those by my favourite writers. I also decided to be patient and wait for the paperback. I watched the hardback version in bookshops become the large paperback version (what is that all about?) and then I heard the hearty plop of a book-shaped package land on my doormat a few weeks ago. I kept it in its wrapping for a while as I didn't want to consume it as soon as it arrived. Then I decided I would wait until my holiday to indulge. Reading Maggie O'Farrell is a delight to be savoured. She creates characters that are rounded and empathetic. This novel is no exception. Written in the third person, it is constructed in an ambitious structure where O'Farrell focalises on a specific character from her riotous cast. Daniel Sullivan is the protagonist; all the other characters have some bearing on his life at some point. The novel sweeps time and place, and the title of the book is open to interpretation. Donegal is the geographical location that roots the novel, but there is a deeper meaning to the sentiment. The use of the modal form, "must" has semantics of a need to have a place, a place where we feel that we can belong. This is more than geography and O'Farrell explores family life and all its permutations in a tender and honest way. Daniel is flawed. He can be selfish and self-absorbed. Claudette is vulnerable. She has run away from celebrity, has absolute need for secrecy and she demands trust from those she chooses to let into her life. She home-schools her children and lives in a house that is separated from the nearest road by numerous five-bar gates. No taxi will go up there. It is isolated and isolating. The novel turns around the relationship between Daniel and Claudette, but to understand them means that we have to understand their past. Maggie O'Farrell creates this through multiple points of view. These voices are as intimate as their offspring and as random as a woman met on a weekend tour of salt flats in Bolivia. If this isn't complex enough, she also uses disassociation at times. She opens the novel with "There is a man.He is standing on the back steps... There is a man and that man is me." I wasn't sure about this at first, but the technique is used sparingly and to good effect. It explores moments when the characters are not entirely sure of their reactions or options and are a little outside of their own lives. I loved the afterword to this novel when the author explains how she had organised the complex geographical and anachronistic structure by a myriad of post-it notes on her bedroom wall. A third of the way through, a toddling child decided to pull down all those within reach and force Maggie O'Farrell into further rethinking and planning. Real life is complicated and this is fully communicated in this novel. It is a story of love, of families, of siblings and of parenthood. And like no other author I know, Maggie O'Farrell can communicate what is feels like to love, to belong and to need to belong. for us as we honeymooned there 25 years ago, returning only last week to celebrate our silver wedding anniversary. It was fitting that the geography I was in as I read the novel was significant to our story. It was also fitting that the book centres around what makes a marriage and what might threaten its stability. I am proud to have been alongside hubby for a quarter of a century. 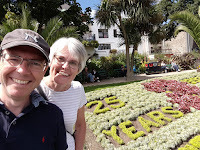 Despite making me feel a tad past-it, it also gives security and time for contented reflection as we look forward to hiking our way into the next 25 years.